Schedule your Volkswagen service today! Volkswagen is setting a world standard by merging engineering and style. It offers customers safe, attractive, and eco-friendly automobiles. Get peace of mind knowing that your Volkswagen is safe and running optimally as the same day you bought it. Our ASE-certified technicians in Towson, MD know your car from the inside out. We use the latest tools and diagnostic equipment to assess the overall health of your vehicle. Your car’s battery, charging, and starting system regulates electrical processes that start the engine and keep it running. And factors such as mileage, weather conditions, and frequent stop and start cycles can cause wear and tear on your electrical system. If you are experiencing problems with your Volkswagen’s battery, charging, and starting systems, bring it to us. Our team selects the right battery to deliver the power your car’s electrical components need. Exposure to constant heat, moisture, and vibration make your car belts and hoses one of the fastest wearing components of your vehicle. Having them checked at regular intervals ensures can help you avoid a breakdown from a hose failure or broken belt. Our mechanics in Towson, Maryland are certified to diagnose your car’s issues and conduct belt and hose replacements. The Maryland Vehicle Emissions Program is part of the state’s initiative to improve air quality. This requires drivers to go through emission system inspections every two years. Hollenshade’s Auto Service conducts emissions repair and maintenance if your car fails to meet required standards in Towson, MD. We keep your car operating efficiently to reduce air pollution. A massive network of wires, sensors, and computers work together to control your car. Any interruption in these lines could have major consequences. If you are experiencing electrical issues with your Volkswagen, we suggest that you schedule an electrical system repair with us. Our team conducts an accurate diagnosis and gets the job done right the first time. 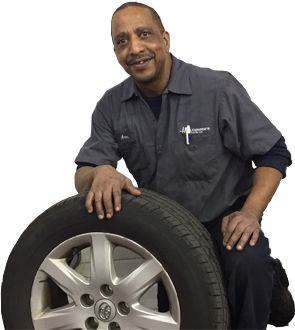 Our auto repair shop has been serving the needs of drivers in Towson, Maryland since 1939. At Hollenshade’s Auto Service, your Volkswagen is in good hands. Call us today 410-828-5750 or schedule an appointment online.